This quilt is a woven square in a diamond setting and made using a twelve-step colour wheel of hand-dyed fabrics. 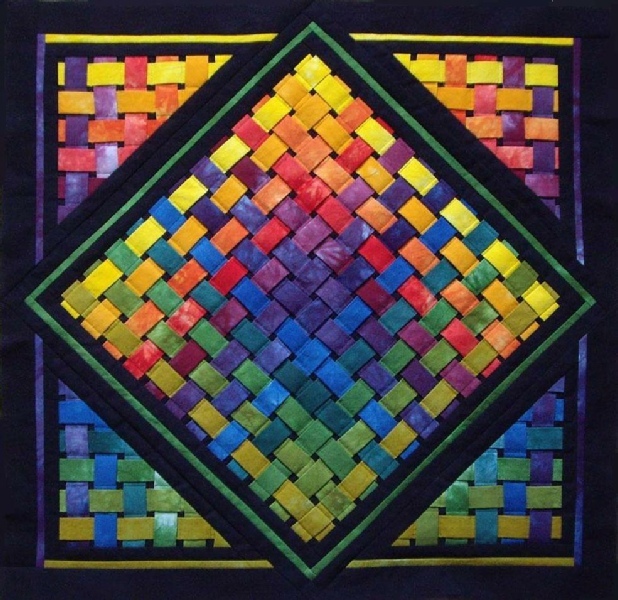 This kit includes instructions and all the fabric needed to make the top and binding for this quilt. A PDF file of the pattern only is also available. After payment is made you will receive the file via email.